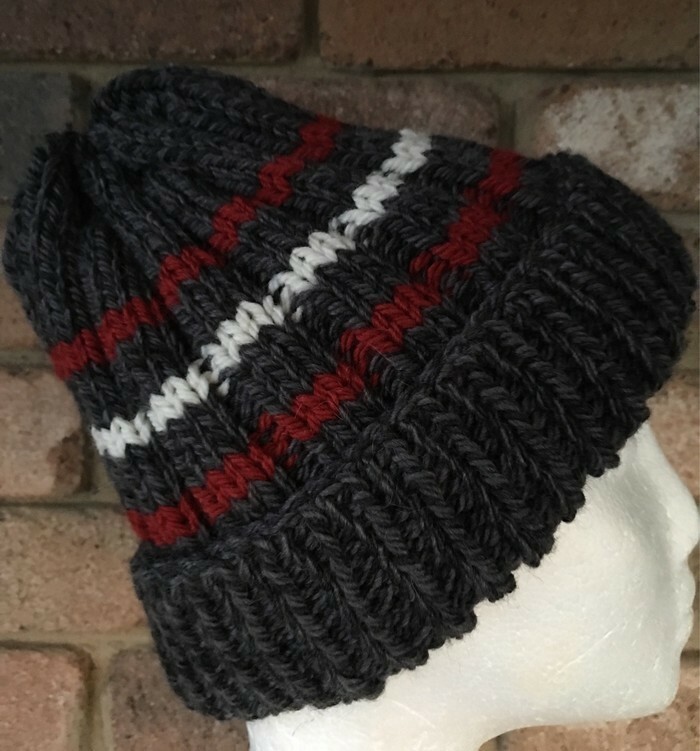 Hand knitted dark grey with red and cream striped slouchy beanie with superior quality 50% pure new wool, 30% acrylic & 20% alpaca. 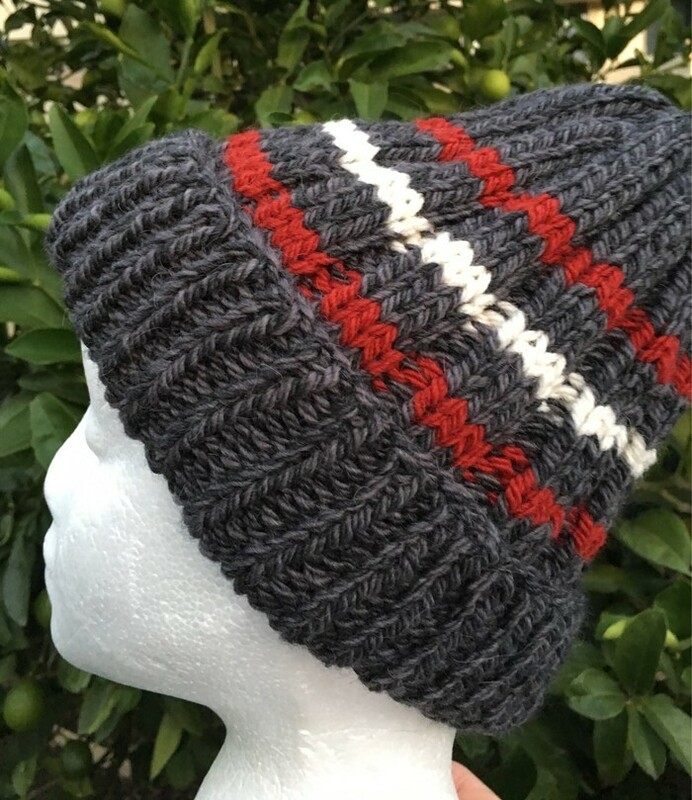 Super soft comfy grey striped beanie. 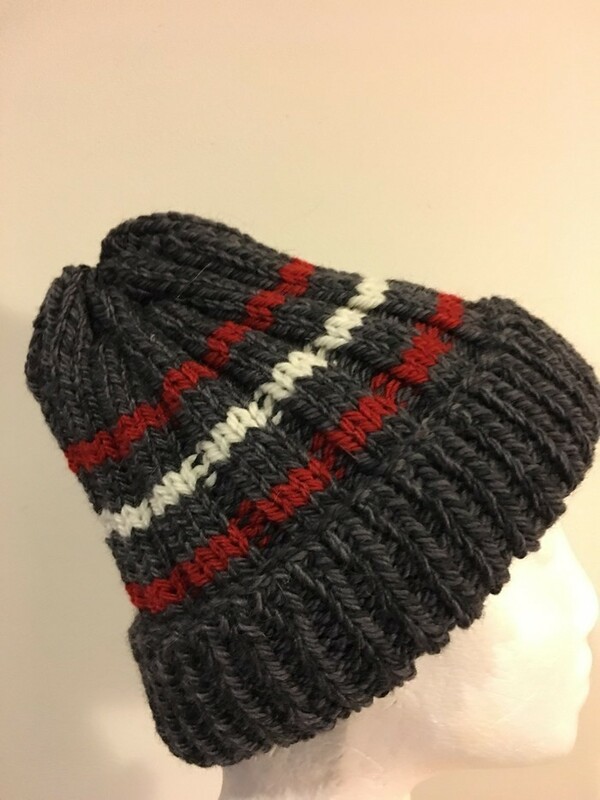 Measures 9” in length and a stretchy band of 20” ribbed band stretches out to fit normal adult sized head. Makes perfect gift or keep for yourself. Unisex. 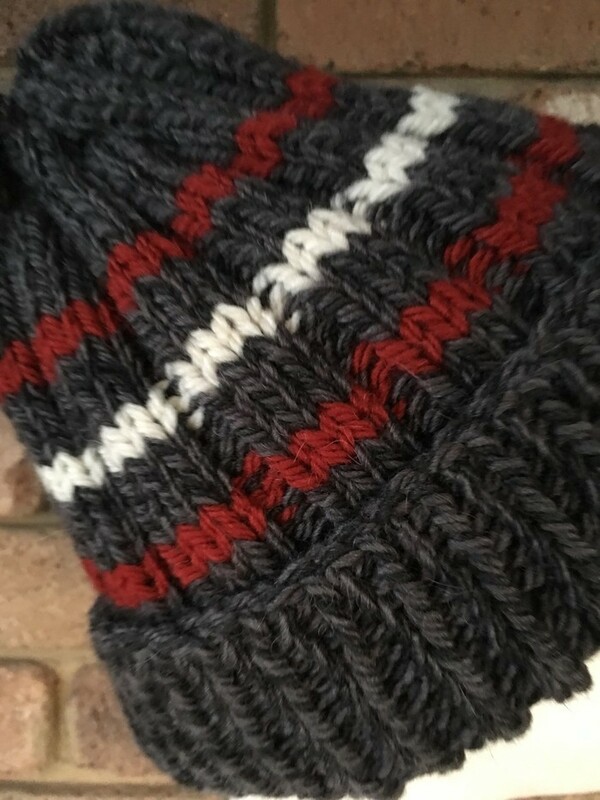 The leather tag completes the beanie beautifully, showing the love and attention to detail given in every stitch. If you would like a Pom Pom added on top please select this and let me know what colour you would like. If you select pompom include the message if you would like a different colour pompom. 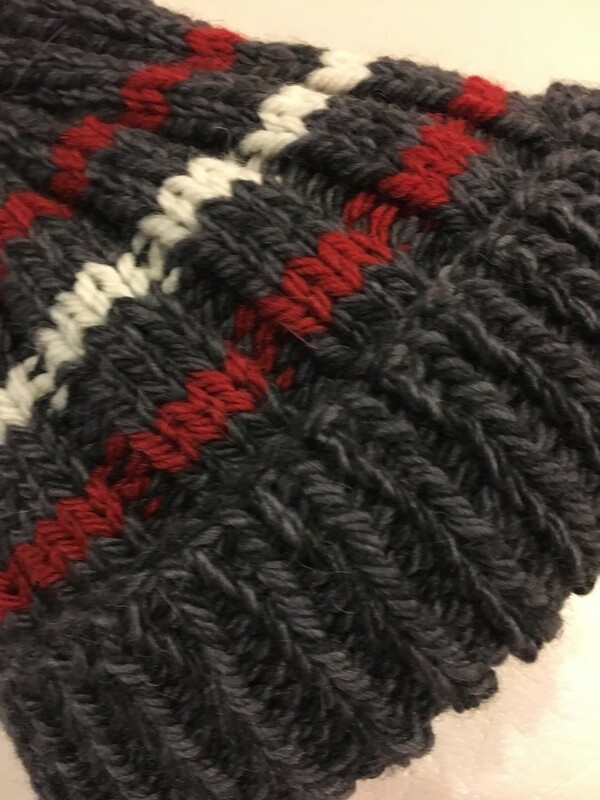 Otherwise if you select pompom a matching dark grey pompom will be added. Fancy another colour combination - click on the "contact" button to send me a conversation. 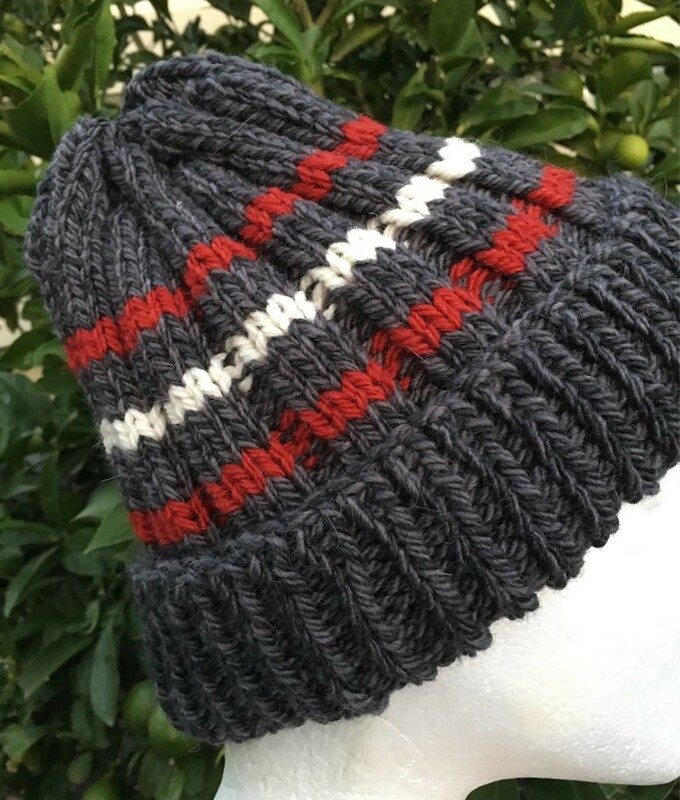 This mens beanie or ladies beanie has received the most wonderful reviews and is a very popular choice. Care instructions - hand wash only to achieve the ultimate results. Do not bleach, spin dry or wring. For best dry lay flat in the shade. Please do not iron.